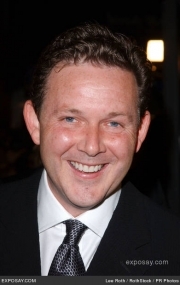 John David Logan is an American playwright, screenwriter and film producer. Logan was born in San Diego on September 24, 1961. His parents emigrated to the US from Northern Ireland via Canada. The youngest of three children, he has an older brother and sister. Logan grew up in California and New Jersey, before moving to Chicago to attend Northwestern University, where he graduated in 1983. He is openly gay. Logan was a successful playwright in Chicago for many years before turning to screenwriting. His first play, Never the Sinner, tells the story of the infamous Leopold and Loeb case. Subsequent plays include Hauptmann, about the Lindbergh baby kidnapping, and Riverview, a musical melodrama set at Chicago's famed amusement park. His play Red, about artist Mark Rothko, was produced by the Donmar Warehouse, London in December 2009, and on Broadway, where it received six Tony Awards in mid-June, 2010, the most of any play, including best play, best direction of a play for Michael Grandage and best featured actor in a play for Eddie Redmayne. Redmayne and Alfred Molina had originated their roles in London and brought them to New York for a limited run ending in late June. Logan wrote Any Given Sunday and the television movie RKO 281, before gaining an Academy Award nomination for co-writing the Best Picture-winner, Gladiator in 2000. He gained another nomination for writing 2004's The Aviator, starring Leonardo DiCaprio and directed by Martin Scorsese. Other notable films written by Logan include Star Trek: Nemesis, The Time Machine, The Last Samurai, and the Tim Burton-directed musical, Sweeney Todd: The Demon Barber of Fleet Street, for which he received a Golden Globe Award. Logan's most recent feature films include Rango, an animated feature starring Johnny Depp and directed by Gore Verbinski, the film adaptation of Shakespeare's Coriolanus directed by and starring Ralph Fiennes, and the film adaptation of The Invention of Hugo Cabret directed by Martin Scorsese. Logan wrote the script to the upcoming James Bond film, Skyfall, along with Neal Purvis and Robert Wade. Whole or part of the information contained in this card come from the Wikipedia article "John Logan", licensed under CC-BY-SA full list of contributors here.